Take your child’s summer fun to the next level! The Merrimack Dive Team has slots open for boys and girls who want to have a great time and join a winning team. Prior diving experience is not required. 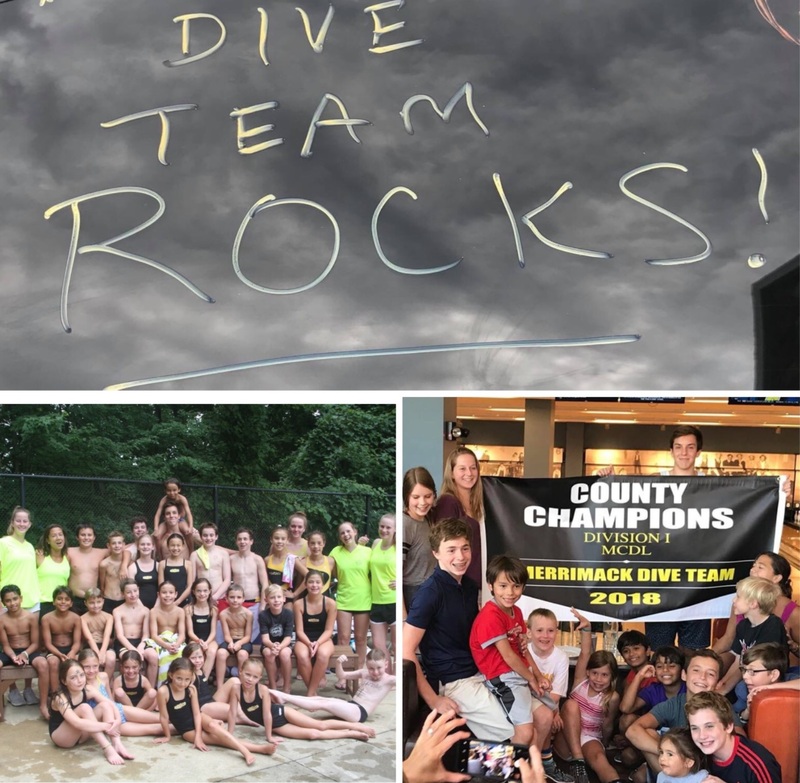 Last year, we won the Montgomery County Diving League Division I Championship thanks to our amazing coaches, incredible team spirit, fantastic parent volunteers and wonderful mix of new and experienced divers. Any kid between 5-18 is welcome to join, whatever the skill level. You don’t need to know how to dive to be part of the team, no matter the age. The team is led by Head Coach Kathy Kirk, M.D., who dove for her summer league pool and the Montgomery Dive Club on the J.O. Circuit before attending and diving for Princeton. 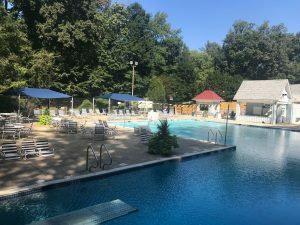 Kathy loves to teach kids how to use the diving board safely and help them gain the kind of skills and self-confidence that make a difference in the pool and beyond. The dive team is right for any child interested in the diving board, trampoline, gymnastics, making new friends or being part of a positive, supportive group. It is also a perfect complement to the swim team, and dive team practices are easy to combine with swim practice schedules. A child can also join the team on a trial basis for a few days if you want to see if it’s the right fit. If you are interested in the team or want to know more, please contact Kerrie Bouker or Mark Cohen. Swim Team Registration Coming Soon!